Former Kerala state transport minister Thomas Chandy, who has moved the Supreme Court in a Special Leave Petition (SLP) arising out of the judgment dated November 14, 2017, of the Kerala High Court in an illegal encroachment matter, is yet to be afforded an opportunity of being heard. On Friday, the SLP was scheduled for hearing before the bench of Justice Kurien Joseph and Justice Amitava Roy when the former deemed it appropriate to recuse himself from the matter. 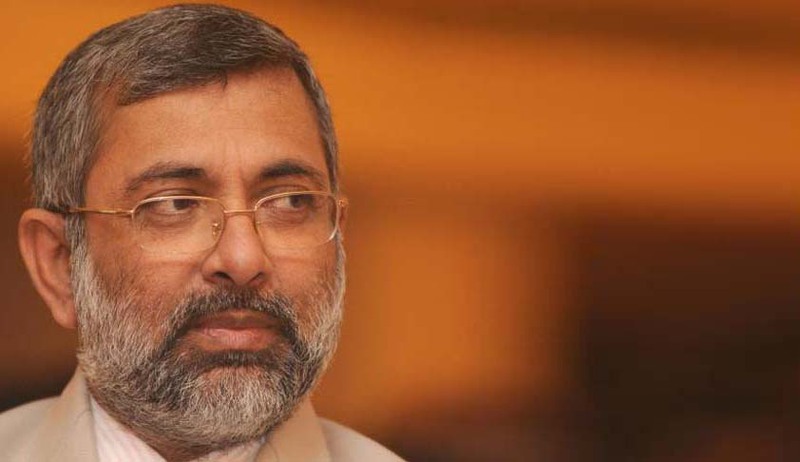 Interestingly, this is the third instance of recusal in respect of the said SLP- the matter was earlier listed before a bench of Chief Justice Dipak Misra and Justice AM Khanwilkar, and upon Justice Khanwilkar’s recusal, before a bench comprising Justice RK Agrawal and Justice AM Sapre, but the latter had recused himself from the matter. On November 14, 2017, a division bench of the High Court of Kerala, comprising Justice PN Ravindran and Justice Devan Ramachandran, had held that a minister cannot invoke writ jurisdiction against his own government or its functionaries. The bench had arrived at such a judicial analysis through two separate but concurring judgments. It had observed that a minister, whilst holding such a position cannot invoke the extraordinary writ jurisdiction contained in Article 226, impugning the actions initiated by the government. The bench was hearing the plea made by Thomas Chandy, then a minister in Kerala. The minister had challenged the report of the District Collector that named him for reclaiming certain lands in alleged violation of the provisions contained in the Kerala Conservation of Paddy Land and Wet Land Act, 2008. The District Collector had forwarded the said report to Additional Chief Secretary, Revenue Department. Chandy had contended that he was not the owner of the lands mentioned in the report. It was further averred by the petitioner that the District Collector had formulated such a report after an inquiry in this regard in lieu of a communication by the Revenue Secretary, pursuant to certain directions made by the Minister for Revenue to enquire into complaints received against alleged the reclamation of land by a company named Water World Company Private Ltd, which runs an entity titled ‘Lake Place Resort’ in the said property. The petitioner, however, had admitted in the writ petition that he was a council minister in Kerala. The bench had observed that the report of District Collector alleged reclamation of land by a company named Water World Company Private Ltd, wherein the petitioner was admittedly a non-executive director. Since the District Collector had formulated such a report pursuant to a cabinet minister’s directions, the act of the petitioner was aimed at the actions initiated by one minister of the cabinet of which the petitioner is a member. The said conduct of the petitioner in the view of the bench, struck at the very root of principle of ‘Cabinet Collective Responsibility’. The bench, further summing up, had stated that the report of the District Collector alleged of certain infractions committed by the company whilst in 2014, when the petitioner was admittedly the director of the company. The bench had also said the above report did not attempt any action against the petitioner personally, except that the company was sought to be proceeded and investigated against. The bench had also added that the petitioner admittedly seemed to be more concerned about the media and his political rivals, than any legal prejudice that may be caused to him based on the above report. The bench had held that it did not impute anything culpable against the petitioner on him being merely named in the report, and had left it open to the District Collector to take appropriate actions in the due course, as contemplated in law, based on her report and further inquiry.